The Achilles tendon, the largest tendon in the body, joins the calf muscles to the heel bone. This tendon enables one to walk, run and jump. 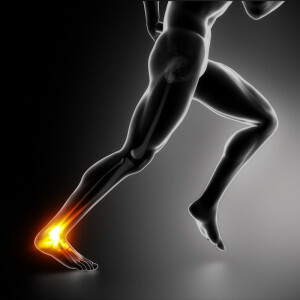 Achilles tendon tears happen when the tendon stretches beyond its capacity. Achilles tendon rupture is characterized by a snapping sound associated with severe pain around the ankle and back of the leg. Causes: Typical causes of Achilles tendon tear include sudden jumping movements, excessive starting and stopping movements and tripping incidents. Fluoroquinolone antibiotics (e.g. Cipro, Factive, Floxina and Levaquin) are also associated with increased risk of tendinitis and tendon tears. Magnetic resonance imaging (MRI) is required to understand the nature of an Achilles tendon tear—partial or full tear. A partial tear can recover with a leg cast, brace, or splint, but may require surgery in some cases. For a full tear of the Achilles tendon, surgery is mandatory. 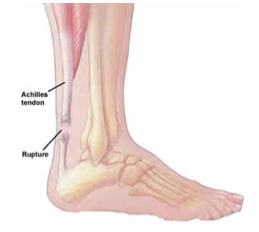 Symptomatic relief of Achilles tendon tear include rest of the foot, ice at the area, elevation of the foot and over-the-counter pain medications (ibuprofen, acetaminophen and naproxen). Recovery may take between 2 – 6 weeks, depending upon the severity of the tear. Individuals who had an Achilles tear once are at greater risk for similar injury in the future. During surgery, an incision is made to access the muscle and tendon. Usual risks associated with such surgical interventions include the side effects of anesthesia and a lengthy recovery process. Stem cell therapy offers a novel approach to healing tendon tears without surgery. By a quick outpatient procedure, a patient’s own stem cells are injected at the site in order for tissue repair and regeneration to happen. 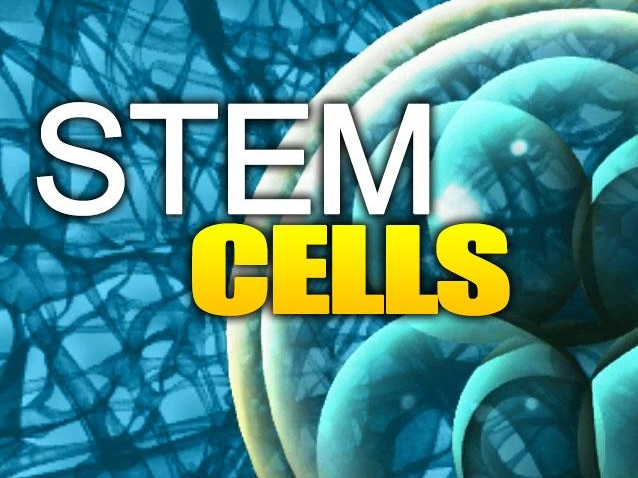 Adult stem cells, obtained from the bone marrow or fat, can undergo a process of differentiation to form specialized cells in the body. When there is an injury in the body, stem cells can repair the tissue damage by proliferating and differentiating into new healthy cells. However, as we age, the body loses its ability to attract enough stem cells to the site of damage. Mesenchymal stem cell (MSC) are responsible for the regeneration of tendon, ligament, or bone. R3 Stem Cell Clinics evaluates patients to match them with cutting-edge stem cell therapy for the cure of tendon tears. Unlike complete Achilles tendon rupture, wherein surgery is the only treatment option, many cases of tendon tears may be effectively and safely treated with Adult Stem Cell therapy, Platelet Rich Plasma therapy and Amniotic-derived Stem Cell therapy. Unlike reconstructive surgery that may permanently weaken the tendon and associated structures, stem cell therapy aims to rebuild and strengthen tissues. Moreover, patients with partial tendon tears may take anti-inflammatory agents and pain medication to control the swelling and pain, but the side effects of these drugs may be too unpleasant to continue medication use. In this regard, stem cell therapy or Platelet Rich Plasma therapy offers easy intervention measures for effective and lasting repair as well as as the control of painful symptoms. A small volume of solution (containing the stem cells or platelets) is injected into the painful ligament, tendon insertions or adjacent joint spaces. The cells secrete factors, such as platelet-derived growth factor (PDGF), transforming growth factor beta (TGF-b), vascular endothelial growth factor (VEGF) and epithelial growth factor (EGF), which promote natural repair and regeneration. Baer GS, Keene JS. Tendon injuries of the foot and ankle. In: DeLee JC, Drez D Jr., Miller MD, eds. DeLee and Drez’s Orthopaedic Sports Medicine. 3rd ed. Philadelphia, Pa: Saunders Elsevier;2009:section D.  Vora A, Borg-Stein J, Nguyen RT. Regenerative injection therapy for osteoarthritis: fundamental concepts and evidence-based review. PM R. 2012 May;4(5 Suppl):S104-9. de Mos M, van der Windt AE, Jahr H, et al. Can platelet-rich plasma enhance tendon repair? A cell culture study. Am J Sports Med. 2008 Jun;36(6):1171-8. Epub 2008 Mar 7. Monto RR.Platelet rich plasma treatment for chronic Achilles tendinosis. Foot Ankle Int. 2012 May;33(5):379-85. FOR MORE INFORMATION ON ACHILLES TEAR TREATMENT WITH REGENERATIVE MEDICINE AND TO MAKE AN APPOINTMENT AT AN R3 CENTER OF EXCELLENCE NEAR YOU, CALL (844) GET-STEM TODAY!